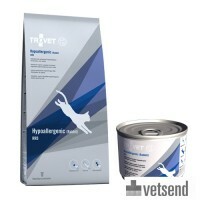 TROVET is a Dutch brand and develops food for all dogs and cats; ranging from puppy or kitten to adult dog or cat. This brand has been around since the late 1980s and has developed a great deal of knowledge and expertise in the field of animal nutrition over the years. This knowledge is used daily to keep the existing product range up-to-date and to develop new innovative food products. 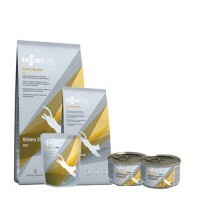 TROVET's diet food is formulated for pets with obesity or bladder, kidney, liver and digestive problems. 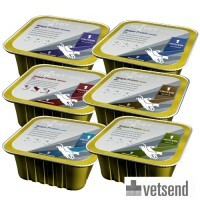 In addition to special diet food, they also offers wellness pet food. This includes puppy and kitten milk powder and complete food for puppies and kittens. TROVET Unique Protein dog food often contains only one source of protein and is suitable for dogs with a food allergy or hypersensitivity. 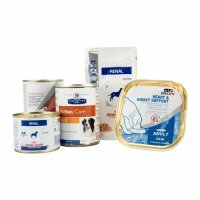 Diets from this brand provide all the nutritional needs that your adult or young companion animal requires. 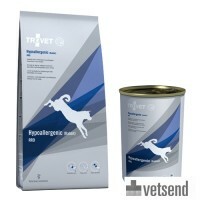 TROVET products can exclusively be obtained from a veterinary clinic. 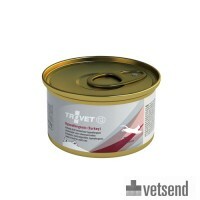 Based on the advice a veterinarian gives, TROVET food can be given. Veterinarians set strict quality requirements for the products in their clinic and only sell products with a good composition and a proven effect. The products of TROVET are produced based on recent insights and contain only high quality ingredients. All TROVET products are also free of chemical additives, colourings and flavourings. TROVET has been available for 30 years at veterinarians and online pet shops. 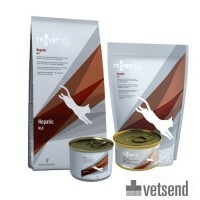 Vetsend has a wide variety in Trovet dog food and Trovet cat food. 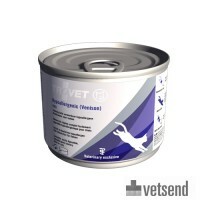 Vetsend also provides TROVET products for rabbits and guinea pigs. A well-known dry food for dogs is the Hypoallergenic VRD (Rabbit) for Dogs. This food is easily digestible diet food for animals with food hypersensitivity, based on only one protein. Besides food hypersensitivity, Vetsend also offers diets for overweight pets or bladder, kidney, liver and digestive problems in dogs or cats.